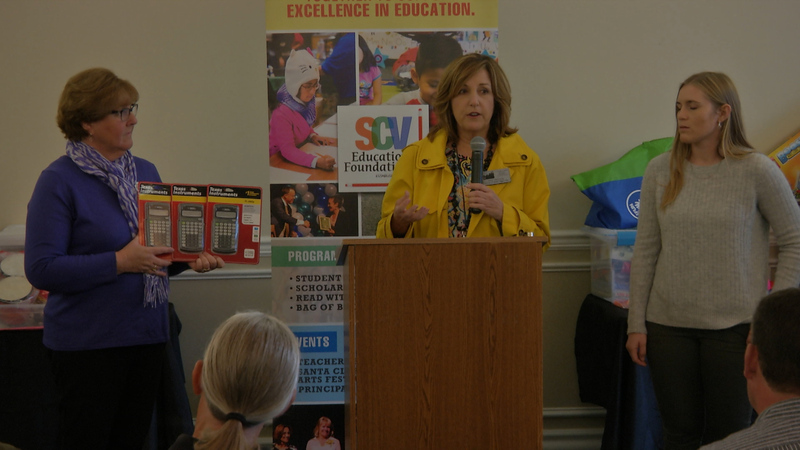 The SCV Education Foundation distributed grant materials to local Santa Clarita teachers on Thursday, January 31st. The grants have a combined total value of over $15,000 and will touch the lives of 6,000 students annually. This is the 21st year that the Foundation has awarded teacher grants bringing our total investment in this program to almost $550,000. The grant application process started in November when the teachers submitted their applications. A committee then reviewed all the applications and decided which to fund. About the Santa Clarita Valley Education Foundation – The SCV Education Foundation was founded in 1995 to foster relationships between businesses, schools, educators and students; and to promote appreciation for public school education in the Santa Clarita Valley. Other annual programs include Teacher Innovation Grants, Teacher Tribute, Read with Me, Bag of Books and scholarships to graduating high school students. For more information please visit www.scveducationfoundation.org or call our office at 661-678-0429.